Manufacturers knew the dire health risks of lead paint, but continued to market it. Paint corporations have attempted to avoid accountability for poisoning generations of kids. It’s a proven fact: Manufacturers of lead paint have known for more than a century that their product posed a toxic threat – particularly to kids – but continued to sell it anyway. Although government regulators forced the paint companies to end sales of lead-based paint 40 years ago, it remains on the walls of many California homes, particularly those in low-income neighborhoods. Children living in such areas today continue to face a poisoning threat if they ingest pealing lead paint. After an epic legal battle, in 2014 a California court ruled in favor of ten California cities and counties that had sued the lead paint manufacturers. Their attorneys proved that the corporate giants were aware of lead paint dangers but callously disregarded the public health threat. Last year, a state appeals court upheld the key legal finding – that the companies had created a widespread public nuisance. The companies were ordered to clean up the mess they created. But those same companies stormed the state Capitol in early 2018 with lobbyists, money and political muscle. They threatened to mount an massive initiative battle in hopes of convincing state lawmakers to let them off the hook. Much as they had for decades while marketing their poison paint, the manufacturers spread misinformation about what's at risk. At the last possible minute, the paint companies agreed to pull the proposition from the ballot. The federal Centers for Disease Control, the American Academy of Pediatrics and every other major public health organization all agree that lead-based paint is the primary cause of childhood lead poisoning. If ingested, it can damage the brain and kidneys, and cause infertility. Public health officials say nearly 75,000 children in California tested positive for lead poisoning between 2010 and 2014 -- and the actual number of cases was likely far greater because testing is not routinely performed. Consumer Attorneys are working hard with a broad coalition of groups to fight back against this clear and present danger to California children. Associated Press: "Lawmakers Annouce Deal to Halt Lead Paint Ballot Measure." 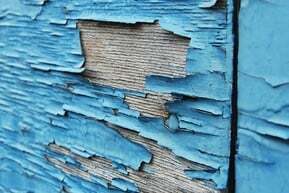 San Francisco Chronicle: “What’s beneath surface of lead paint ballot measure."